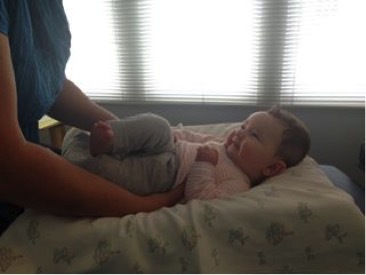 Four month-old Ashlyn enjoying a chiropractic visit with Anne Lundquist DC FICPA. Ashlyn gave her tons of giggles and smiles this morning...perfectly relaxed. Ashlyn tends to hold her head to only one side (must have been in the same cozy position most my pregnancy) and when it gets tight she struggles to nurse on one side. Seeing Dr. Anne really helps to calm her nervous system and re-align everything in the most peaceful of ways. Ashlyn followed this visit with a great nursing session and a long nap with her head tilted in the direction that earlier today was too uncomfortable for her. Hooray! So thankful for Dr. Anne through my pregnancy, with my sweet baby girl, and for every day aches and pains. She's the best! Dr. Lundquist is awesome! She has helped me and my husband over the years with pain, spinal alignment and other problems. Most recently she helped during my pregnancy (as she is trained in Webster technique), alleviating lower back pain, and helping get the baby in the correct position. She also worked with our newborn right after birth, as he had a tight jaw and we had challenges with breastfeeding. She is knowledgeable, personable, and always provides good insight. We highly recommend her! 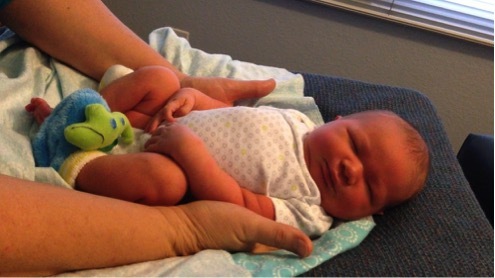 My wife gave birth to our daughter three days ago and on her first day was having trouble breast feeding and latching on. We brought our baby girl to Dr. Lundquist for an evaluation. She was so gentle and precise; our daughter nearly fell asleep in her hands. When we got home and went to breast feed our baby the improvement was instant. She latched on right away and has been feeding regularly ever since. We highly recommend Lundquist and Patterson to all. We are so thankful they are in our lives.